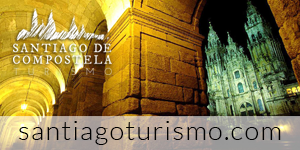 It is linked to the history of Santiago thanks to the archbishop of Compostela, Diego Gelmírez. During feudalism, he developed important urban and defensive changes in Santiago; he promoted socio-economical changes, the pilgrimage to the Apostle’s sepulchre and the assistance to pilgrims in the city. It was the archbishop, himself, who brought from Braga (Portugal) the relics of Saint Susana, as part of the so-called “pious larceny”, in order to strengthen the religious interest of Santiago. The current chapel dates from the 17th and 18th centuries and its style is Baroque, although there are Romanesque reminiscences (i.e. the front door or the modillions from the beginning of the 12th century.